For a while now, I’ve been struggling with my religion. It’s not something I’m proud of, but it’s something I want to be able to admit aloud and to myself. For many reasons, I’ve felt as if God had turned his back on Todd and me over the last few years. Failing IVF cycles does not help that feeling. We moved back to Tulsa in 2010. Since then, we have half-heartedly searched for a church. We tried a few churches in Jenks and my childhood church. We tried some of them multiple times. We really wanted one close to home, but we also wanted one where we felt at home. We had heard of an outfit called LifeChurch.tv. However, for years, we were unwilling to try it because we knew the pastor was broadcast in from the home church in Edmond, Oklahoma. We would say, “How in the world can you feel a connection to a pastor that is an hour-and-a-half away from you when he preaches? !” Then, LifeChurch opened a new location just outside my parents’/sister’s neighborhood, which is just over 3 miles away from us. My sister and her boys started attending and something told us to just check it out. Oh. My. Word. Craig. 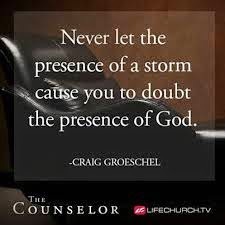 Groeschel. If you haven’t heard this man preach a sermon, you should treat yourself at least one time. There is something about him. I can’t even really describe how he transforms words and talks directly to me. I’m pretty sure he’s been studying my life and has tailored every sermon I’ve heard from him to fit my needs. There is a long-running joke that I make to Todd that the denomination he was raised in is a cult. (It’s just a joke, so don’t take offense if you know what that denomination is and attend. The joke is strictly based on how Todd knows someone at any church we attend, no matter where in the country we are. It’s crazy cool…and very cult-like. J) Anyway, I told Todd after a seminar at church last weekend that if Craig handed me a cup of Kool-Aid, I would gladly drink it. The man is powerful to me. Now, don’t start wondering if I’m starting to worship Craig. I just love listening to him preach. All of that being said, my sister was the one that brought us to LifeChurch (thank you, Jenny), and Craig was the one that kept us coming back. Plus, I really love the worship style because I feel like I can dance and sing loud and no one cares. It’s very much the concert-type worship, but I love every moment of it. Sometimes, when I put my hands out, I can feel the energy just seeping into me. Around January of this year, Todd and I really got serious about going every week. We didn’t like missing Craig’s sermons. Our only problem was that we didn’t truly feel at home because it was so big and we were bouncing around between services so often. For months, I had been feeling like we were missing out on something more. We decided to join a LifeGroup for blended families. That was the start of the snowball. 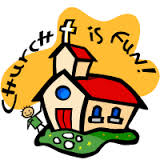 We are now teaching 3-year olds every Sunday at 8:30 a.m. Then, we attend the 10 a.m. worship. Last, we greet at the front doors at 11:30 a.m. The blessings we are receiving from the time we are giving are more than I can explain. My cup runneth over. First of all, our babies! We have the cutest 3-year olds in the Tulsa area. I wish I could post pictures, but I’m sure their parents would not appreciate that. However, I’ll tell you that their hugs and their touches and their attention starts my week off in ways I haven’t felt in years. These kids pose challenges that we have to face each week, mostly about how to get them to watch our 20-minute “movie” and answer at least one question correctly. Did you know that one of their daddies actually built the ark?! See? I tell you…precious! One of the boys squeals when he gets excited. I must admit that I’ve been tempted to squeal along with him, but that might push Todd over the edge. I think I’ve already explained how service has touched me. God may have not answered our prayers for a healthy baby just yet, but He’s definitely answered our prayers to show us He’s still there…working His little magic on His timeline! Sorry it's really hard to post on blogspot from my phone. I feel like I was meant to read your post at this very moment. I've been very lost and without direction lately. So thank you for writing about that. Awe, you're welcome! I'm so glad it spoke to you. I completely get feeling lost. Getting involved in the church has obviously been a great blessing for both Todd and me. I'm not sure what part of town you're in, but we would love to save you a seat if you want to come visit the Jenks campus sometime. If there is one that's closer to you, we'll even meet you there. I'm not saying LifeChurch is for everybody, but you never know when it may be THE church for you! The good thing is that we live in Oklahoma and are inundated with options to find a church home. :) Hugs to you! !